...when your CPA targets are met with money to spare, your data acquisition targets are exceeded, and when your product (e.g., ravioli) flies off the shelf...and of course when folks shoot video of themselves getting slimed while leaping shirtless for your wild posted promotional items...thank you, evil buttons! Piece in today's NYT entitled "American Brandstand" focusing on brands stepping into the sucking void left by the "whipsawing" of the music business by "digital technology" completely misses the point. The bigger story isn't about brands underwriting music - it's about traditional command and control distribution models being exposed as costly barriers to innovation and emotional connection rather than facilitators. It's about a digitally-enabled new playing field and new players popping up in industries where they weren't expected. That's a story - and one that will rewrite a lot of marketing playbooks. Which should all be burned anyway. This "whipsawing" crap is an excuse you hear in a lot of industries facing the digital tsunami and chosing to go down in their cellars rather than get out the boards and surf - the music industry industry didn't just "miss" the digital distribution revolution - they ignored it because their financial self-interest was wedded to another model. When Hurricane Fanning hit the music business, the klaxons shouldn't have sounded only in the lawyers' suites - the business brains and creative hearts needed to sit down and ask themselves what their industry proposition was. Maybe they'd have realized they weren't in the "music" business, they were printing houses whose medium of delivery was being eclipsed. The future, now presently emergent, business is "music experience" or "music supply" - regardless of format - and still offers phenomenal opportunity. And then a couple of folks go on record in the article saying it's "not about the money". Bilge. Of course it is. This isn't the corporate responsibility group doing these deals - the intention is to associate and by association drive sales. Or you don't do it. And for the bands, it's promotion. And distribution. And ultimately...oh right - revenue. Smart artists are using every loophole they can to explore new possibilities. They are trying to extricate themselves from the burning building of the old music industry, while the record business is still running room to room trying to douse the flames with single-serve Evian bottles. The story for me here is that while the lame end of the music business is floundering through a slow motion car wreck trying to maintain their command and control CD-printing model, new music experience/music supply players - iTunes, brands, movies, video games, you name it - are stepping in. So where will this happen next? Well...what's another command and control production distribution model? Oh...how about...movies? TV? Books? Games? Advertising? Brands with money to spend to create powerful emotional connections have the world at their fingertips. But it's a messy world, to put it mildly. Some will execute well, becoming new gatekeepers and kingmakers. More will tank this thing, with their delicious brand mismatches and missteps excrutiatingly well documented. We are all experimenting. The brand lab is huge. Music is just one tool - look for brands in more businesses than you'd expect. Melissa Sconyers, W+K interactive scout, shared with us Noah Brier's (a Naked-ite) newest creation, Brand Tags. How does it work? Brier's site shows you a logo, and you free-associate a word (that becomes a tag) into the handy blank field. Then the next logo appears. It's shockingly simple, and irritatingly addictive. So people come to you to tell you about your brand. Contrast this with Summize, the Twitter search tool that searches public twits/tweets for brand mentions and aggregates them, or their "sentiment"
He's cobbled together a single player Google Image Labeler, only now instead of help Google tag every image using your free labor, you can help Brands get a gut check. And make Naked look brilliant. Sweeet. Melissa conjectures that the site coding may reveal potential Brier-based brand bias in the order in which brands were entered - Nike is #1 (ID=1), Google is #2 (ID=2), etc. - but his numbering scheme skips from #9 (H&M) and doesn't pick up again until #25 (Yahoo!). Perhaps this has something to do with their client list? Or maybe he's leaving room to put them in later? If Brand Tags sits at one end of the spectrum of collective brands (where people are required to go to a destination to create and experience collective perceptions), Summize sits at the other. Summize positions itself as a provider of "conversational search", and it searchs public twitter streams for keywords. Enter a brand, get a slew of brand-relevant tweets. In aggregate, it's a pretty interesting snapshot of what people are saying, right now, about your brand. You can even sift for sentiment. Goodby's newest for Milk. 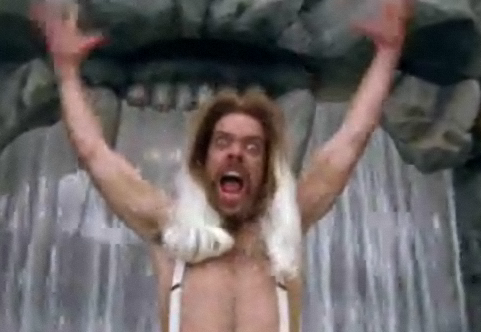 Jack Black meets Spinal Tap, extolling the virtues of the product in lyrics and music videos. Seriously one ups the "Get the Glass". And a sweet tour de force response to "Milk? Online? WTF?" The first interactive music video kinda pissed me off with the "click-grab-shake" crap, but behold "Tame the White Tiger". With bands bailing out of labels and offering music for free, and with brands like Doritos finding and promoting new music talent, who do you think are the three biggest names in music right now? A hint - one starts with "i" and the other sounds a lot like Amazon. "Regardless of which labels ultimately sign on, the [Pepsi] Super Bowl commercials will nonetheless double as the coming-out party for Amazon's digital download site, which soft-launched Sept. 25...Given the steep decline in U.S. CD sales-so far, down 18.6% year to date compared with last year-music executives have been vocally worried about what the new year will bring for the physical format. By switching to a digital format that is compatible with all portable devices-including the all-important iPod-the move could help merchants like Wal-Mart and Amazon capture some of iTunes' 70% market share, and perhaps grow the overall size of the digital marketplace." 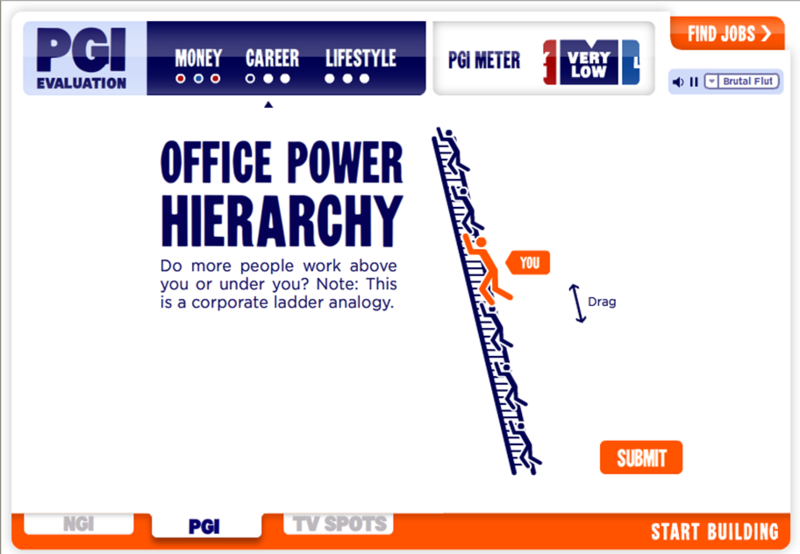 New W+K Interactive work - CareerBuilder.com, Old Spice - Rockit! 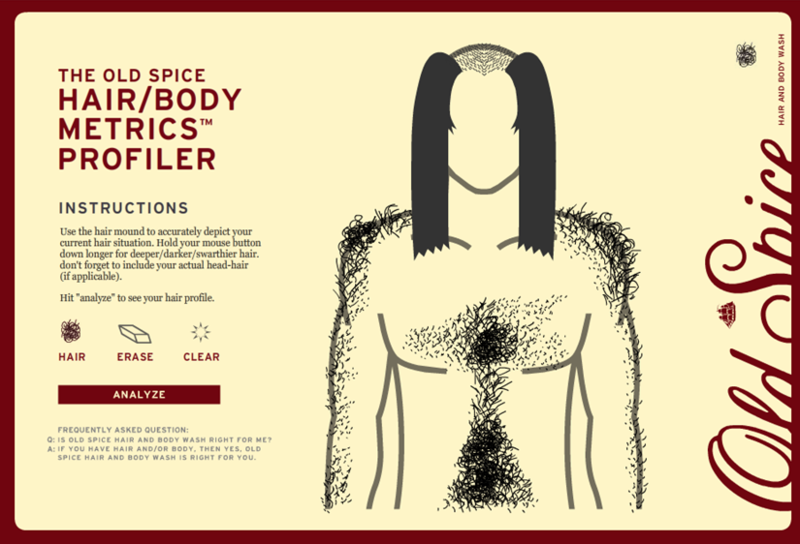 W+K has created a wicked little app that lets you apply body hair. With maybe the best sound effects EVER - no, not maybe, SICK best. Like it might make you sick when you hear it. As the great Greek poet Tommus Blessingtonikus once said, "Remember that old magnet game that lets you create beards and mustaches with iron filings? Its like that, only less magnetic." Sunday we'll be putting up a Will Ferrell section on Oldspice.com. You'll love it, or your brain bone isn't connected to your heart bone. Then there's this little baby for CareerBuilder.com. CareerBuilder.com hatched a National and Personal Gruntledness Index (NGI/PGI) - tracks jobs posted, resumes filed, and job types to show you were the happy and the not-so-happy lay, and gives you a test to determine where you stand. You can try it out by clicking here. Why advertise when you can just do it? Much of [Nike's] future advertising spending will take the form of services for consumers. “We want to find a way to enhance the experience and services, rather than looking for a way to interrupt people from getting to where they want to go,” said Stefan Olander. While $29 for a Nike+ sensor hardly covers the cost of the device and the site maintenance and customer service, Mr. Edwards coolly points out that Nike+ is as much about marketing as it is about product. As consumers spend more time online, running their virtual lives and connecting with other people more through typing than talking, Nike executives...want more physical interaction with brands. [Nike] pays 5 coaches and 17 pacers to lead runs three times a week in Central Park. The group sprint[s] out of the store’s 57th Street entrance...a human billboard for Nike." Marketer are changing the nature and quality of their relationships with the folks they are trying to reach. And what they are saying (and selling) when they reach each other. So Radiohead threw down big. Without a label, they've gone direct to consumer (DTC), selling their new album 'In Rainbows' via their website using W.A.S.T.E. Industries (makers of Radiohead's SICK t-shirts and merch) as the transaction engine. The NYT popped this last week. Beyond going DTC, they've introduced a unique pricing model for the album. Buy the digital download of the album for WHATEVER YOU THINK IT'S WORTH. Buy the collector's edition box set for ~ 40 pounds. Q. Will people pay a fair price for music they love, if given the chance? A. Radiohead will find out first. Are other band considering the same move? Yep - Jamiroquai, Oasis and of course, NIN. Trent Reznor of Nine Inch Nail’s wrote the post below on the NIN site . Look for his follow up to 'Year Zero' to go DTC as well. If two of the biggest acts in the industry can see the digital writing on the wall and totally embrace it—that the old way of doing business is broken—why can’t the labels? What Radiohead and NIN are showing is that the business model “of the future” feared by entrenched interests isn’t arriving some time in the horizon. It’s touching down now. The model is changing. 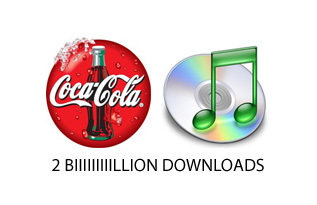 1 in 20 songs downloaded from the web is done so legally. Colbie Caillat emerges from As a publisher/distributor of music through W+K Tokyolab, this is particularly interesting. Didn't Radiohead and NIN get big enough to go DTC based on the success of their prior record label 's distribution/promotion efforts? There is a short list of established bands with global recognition that could generate the PR to get traffic to their download sites. Even so, many up and comers are distributing music free, as promotional media. And MySpace was originally a music promotion/sharing site turned social network. So what role labels can labels expect to play going forward? lawyers on top of libraries? music VC’s, investing heavily in unknown acts for a percentage of future take? ‘momentum consultants’ who generate initial buzz for acts for fee or commission (assuming they can learn the medium fast enough to do it better than the bands and their fans)? distribution platforms? Colbie Caillat and Marie Digby both "hit it big" when they signed with labels, even after their success online generated hundreds of thousands of plays. CoCo's album has sold 300K+ copies since going on sale in June. Marie hasn't yet released an album with Hollywood (expected in 2008), but her videos have been seen 2.3MM times to date. Facebook - Why the Buzz? Facebook recently opened their platform to 3rd party developers, and it's generated a phenomenal amount of buzz. Why? And why should we care? The neat thing? people NEVER HAVE TO COME TO YOUR SITE to engage with your brand. It's a neat little paradigm shift - call it 'taking the mountain to Mohammed'. Why use media to drive people to your brand, when they'll bring it to themselves, provided they perceive sufficient value in embracing you? e.g., your site, when you can let them take your brand and embed it in their world? "We all see the upcoming surge of desktop and mobile widgets, as the idea of the distributed network matures, which makes me think that the Facebook platform is almost like the last major paradigm disruption before the distributed network takes hold." They go on to note, that even though the Facebook platform has only been open a few weeks, over a thousand applications have been created and made available to users, and. "the idea of Facebook applications reaching its saturation point is important to keep in mind. Those who jumped on the opportunity early on have seen the bounty of being a first mover in this space, so the newcomers will need to be that much more innovative with the applications they create." If that ain't the gauntlet being thrown down, I don't know what is. Shocker: creativity will rule. 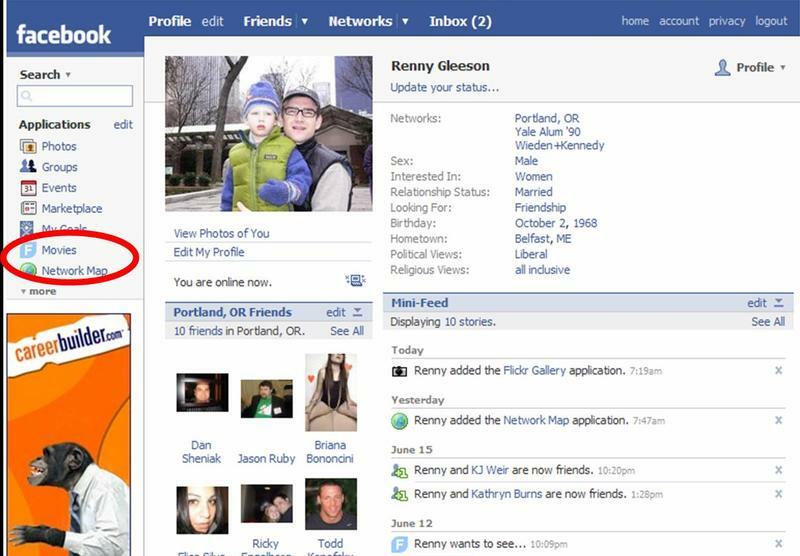 Here's a link to 30 interesting Facebook applications . The full directory is here. A lot of hay is being made about “fishing where the fish are” as brands hunt for the right consumers – digitally, it represents a shift in thinking from the old school “get as many eyeballs to my website as possible” to “get me in front of the right eyeballs, wherever they are”. And it’s not just brands. Big media is trying to ride the wave – CBS announced on Friday a batch of new digital distribution deals, on top of current deals with AOL, Brightcove, Netvibes and Veoh. Which all leads to a pretty simple question: what's the business model here? And if it's just "promotion" for CBS programming, Viacom shouldn't be suing YouTube, right? "Digital" is not "Interactive". And whither "Social Media"? "Digital media" is not intrinsically interactive. Digital media can be as uni-directional as any old line media form - podcasting, for instance, may be a participatory creative expression, but is consumed passively. In spite of the "on-demand" quality of much digital media, it's often simply another outlet, no more or less interactive than any other channel. "Interaction", beyond its typical digital skew, however, is defined as "two or more objects having an effect on each other". Yep, two or more. So also leaving aside the definition of "object", we can (wildly) extrapolate that "interactivity" is intrinsically social. So does "interactive" media = "social" media? Maybe. But I sucked at college calculus. One definition of "Social Media" (the term is like "a tale told by an idiot, full of sound and fury, signifying nothing. or anything. which is pretty much the same. but don't believe me, believe Dare Obasanjo) can also be defined as user-perpetuated marketing, like "Word of Mouth" (WOM). Viral marketing (one of my most hated terms) is just digitally fueled WOM. And marketers and agencies are working hard to figure out how to leverage social media (in all its forms, from viral videos to social networks, to blogs and beyond) to create, enhance, and grow brands. One because it makes sense. Two, because it is perceived to be cheap. Why pay for advertising, when people talking about your brand is the most effective advertising out there (WOM=#1 influencer of purchase intent)? Because they need to know what to talk about. One scenario sees a campaign tip with a paid effort that morphs into a social media effort, but they are hard to plan - the "I put it out there, you talk about it" is great in theory, but if it doesn't work, well...it doesn't work. I could slip my message into YouTube or put empty cans behind clubs to create buzz. it doesn't much matter. Engage me or lose me, sailor. We like that interactive is not just a digital thing. And social media isn't either. They happen to be good enablers, but they have to be used right. The digital landscape is wild n' crazy landscape populated with funky stuff. Its been compared to a herd of dancing elephants - awe inspiring in its scope and scale, and producing terrifying amounts of crap. Brands, great brands, that dare to mean something to someone, rather than trying to be everything to everyone, can be a lighthouse over a sea of complexity. Brand as curator means helping people wade through the surf, finding the bits that matter, delivering value that aligns with core brand values and meanings (not, for instance, building a vending machine that dispenses your big ticket item in Second Life). Now more than ever, consumers can impact brands - and brands should listen, learn, and partner. At the same time, folks don't go to a rock concert expecting to tell the band what to play. They buy a ticket for an experience. We owe them one. Anti PS3 video, posted on YouTube. They've been around for a while, but if you haven't had the chance to check out Netvibes DO! Are you prepared to break your content (including advertising!) apart so people can distribute and use it on their own terms? How do content providers monetize their investment when people can strip it down to component parts and reconstitute, SANS advertising? Can content providers provide added value content to consumers to get them to embed or use your content on their own sites or at sites like Netvibes, even if it carries a sponsor message or content?